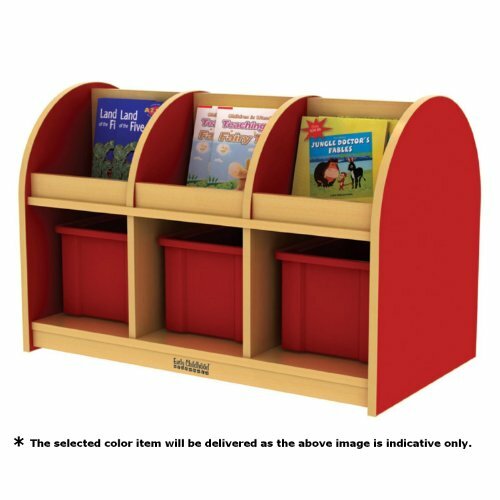 Toddler-sized book island with multiple compartments to display books and toys. Sturdy construction and a warm maple laminate. Easy-to-clean inside and out. Assembly required. 36 in. W x 19.5 in. D x 22.5 in. H. Book Storage Islands offer a different look to any classroom while offering multiple compartments for displaying books of all sizes. Features sturdy construction and a warm Maple laminate with your choice of Red, Yellow or Blue sides, which is easy-to-clean, inside and out.